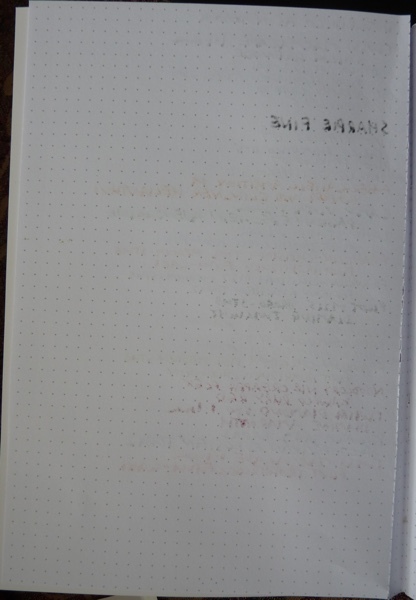 Dotgrid Co A5 notebook review – Pens! Paper! Pencils! 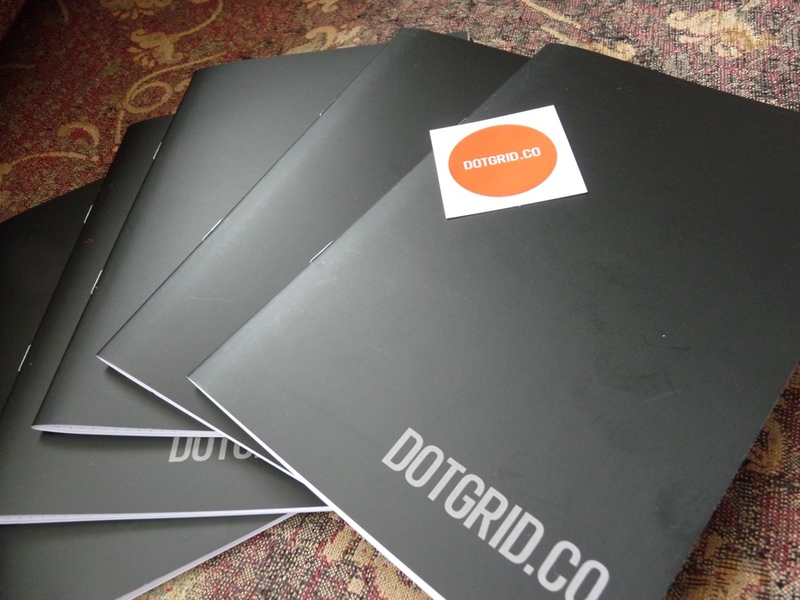 The Dotgrid.co A5 notepad has 28 pages (14 sheets) of 104gsm paper with a grey dot grid pattern. They cost £13 ($20-ish) for a pack of five. 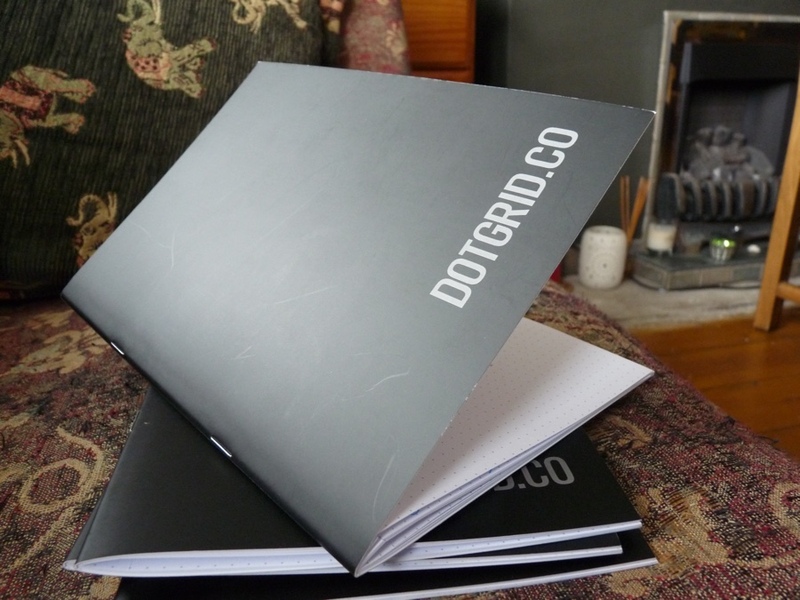 There are a range of different formats available from dotgrid.co. The paper is quite good. 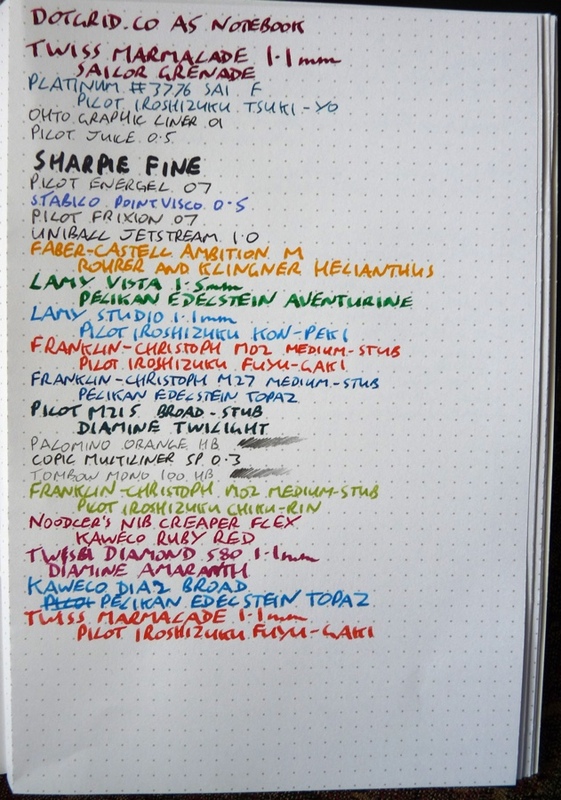 It’s certainly better than many notebooks but it isn’t as good as Rhodia. 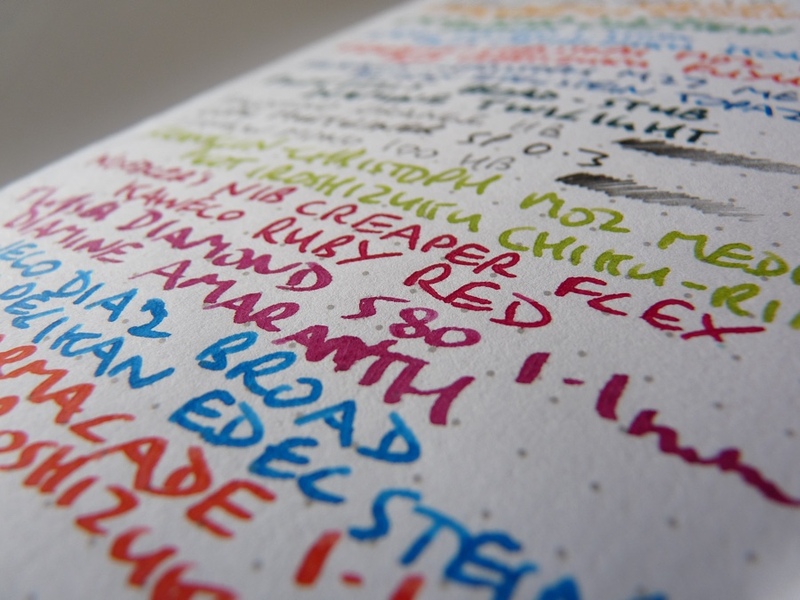 It will cope with finer or drier fountain pens without any trouble but feathers with wetter pens. This is a little disappointing given how thick the paper is but it’s not a disaster. The pages are firmly stapled in the centre and perforated along the long vertical edge. They tear out easily. The problem with the perforations though is that they cause each page to fold up along this seam. I found this to be quite intrusive – the pages didn’t lay flat at all. The cover is 350gm stiff laminated card. It’s waterproof (though I haven’t checked this). It looks good but collects fingerprints. This isn’t a bad notebook at all. For sketching and mindmapping and thinking through ideas it’s in a format I like. 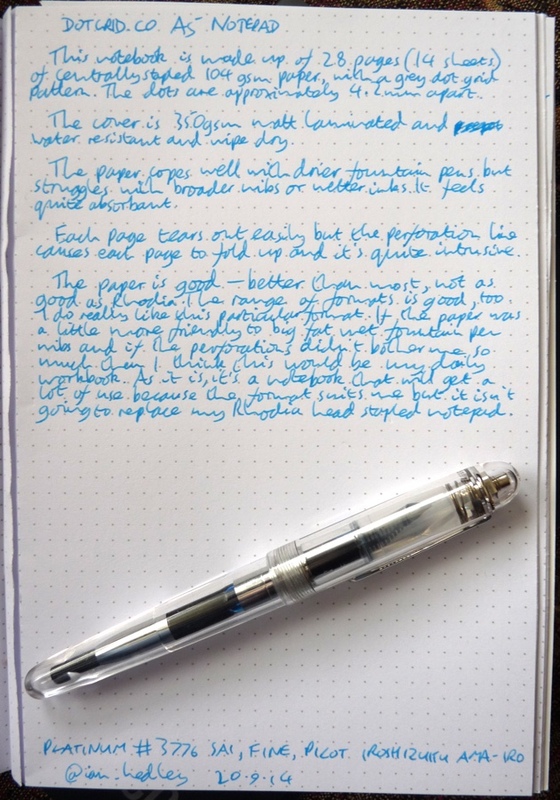 It’s a shame about the perforations lifting the pages up and it’s a shame the paper isn’t just a little more fountain pen friendly.